The upgraded products have been redesigned keeping in mind the needs of the Australian small business and the users of these products. Fresh & Clean, an Alsco company, is pleased to announce the launch of its revamped, automatic, modern and streamlined washroom products. Fresh & Clean, as the leader in washroom hygiene solutions in Australia, undertook a survey of women users of its products. Based on their feedback, Fresh & Clean redesigned and upgraded its product-set in order to deliver better value to its users. Today, Fresh & Clean has a line of contemporary looking washroom products which have a unified appearance. The range of products share features such as the modernised Fresh & Clean brand and a featured colour scheme which make your washroom visually harmonious and immaculate looking. Fresh & Clean brings advanced next-gen products with improved functionality to benefit customers. These products have been designed for the future. 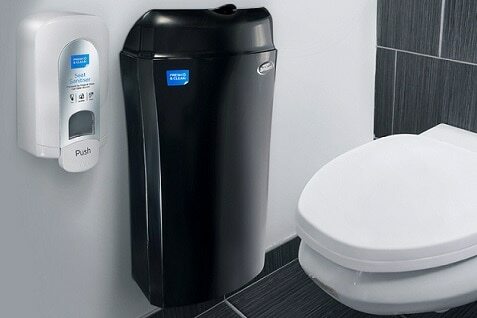 There are automatic no-touch dispensers for increased hygiene and to avoid cross contamination in public washrooms. Advanced technology ensures the soap dispensers activate when you want them to without having to touch them. Advanced anti-bacterial hand soaps are specially formulated to protect and moisturise hand and kill 99.99% of common germs. The carefully selected ingredients of these soaps ensure that harmful bacteria are removed from hands, whilst maintaining the natural pH balance of your soft skin. This makes them suitable for frequent use and suitable for sensitive skin types as well. With only one dose per hand wash, these hand soaps provide a more efficient and economical solution for Australian workplaces. Fresh & Clean recognised that spray soap was the preferred variant of the users even though liquid soap was used most commonly by businesses wanting to minimise costs since it was most economical. Fresh & Clean, in conjunction with a specialist manufacturing team, developed new technology to maximize the efficiency of the soap being delivered through the spray system. Fresh & Clean also designed an innovative dispenser system which can be used for foam, liquid or spray soap. This integrated system is designed to make a hygienic washroom at your place of business modern, yet affordable. There is a smart three-in-one solution for your air quality problems too. The new air management filter eliminates malodours, reduces fine dust and entraps airborne pathogens including bacteria. It has a specially designed triple level filter comprising of anti-bacterial, anti-fibre and charcoal filter which manage air-quality in your office without affecting airflow performance. Fresh & Clean was mindful of Australian small business workplace needs and their costs while upgrading its products. The upgrades to design, functionality and features were made keeping in mind the benefits to the users and their affordability. “Our customers are always at the forefront of changes we make to our products and services. What is in our customer’s interest is in our interest too. We made sure that all changes made economic sense for workplaces around Australia” says Jane Lawrence, Marketing Manager at Alsco.